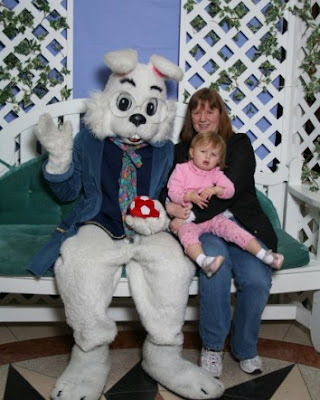 Zoe didn't have much love for the big furry Easter Bunny. 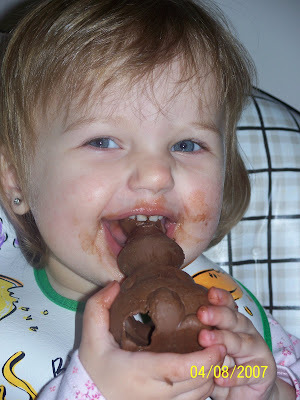 Zoe was much more fond of the yummy chocolate Easter Bunny! Honestly... I can't say I blame her!